In today’s fast paced world where everything is at tip of our fingertips, courtesy to our mobile phones. I also found smart iptv app that makes it so I can watch our favorite show on our phone or tv. Finding a date is also pretty easy because all one needs to do so is swipe left or right and get a date from the innumerable dating applications available. Undoubtedly, Tinder is the most widely used dating application all over the globe. But people, who have actually dreamt of swiping left and right on potential Tinder dates on their TV screens instead of their mobile phones, are in for some good news. Tinder has paired up with Apple TV. The Apple TV application will help in doing just the aforementioned Tinder profile browsing from one’s TVs. Courtesy to the set-top box as well as the touch friendly remote, a user can easily swipe left, right or up for potential matches while browsing on the largest screen in house and that too in HD. Tinder further offers situations where people would want to use the dating application on the TV when they aren’t allowed to peep into their mobiles at the table. In other scenarios, people could use Tinder on Apple TV for getting some family perspective. However, it would be better to wait till the family members aren’t around for one to start looking for dates. But then; to each his own. 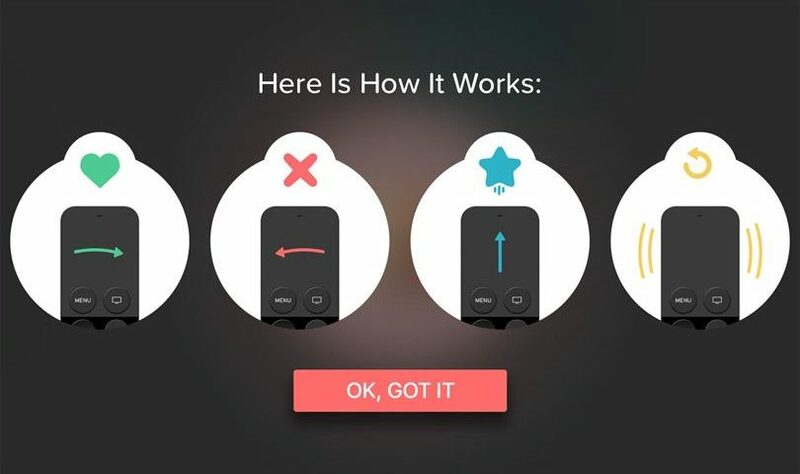 Additionally, the Tinder Plus subscribers have the option of shaking the Apple TV remote for rewinding their swipe. So, all the people who are excited because of the aforementioned news can get started as the application is available for streaming the device from the App Store. People wanting to use Tinder on their Apple TV should start off by opening the App Store from their Apple TV for downloading Tinder. The next step is to follow all the directions on the screen for logging in purposes. Then, all a user needs to do is start swiping on the profiles. 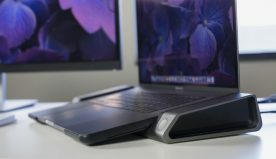 One can click on the trackpad for viewing more details for a specific profile. One can swipe right, left and even super like through simple swipes. Also, don’t forget to sign out after swiping. Who knows, what kind of dates one’s family members might set one on and that too without them knowing. 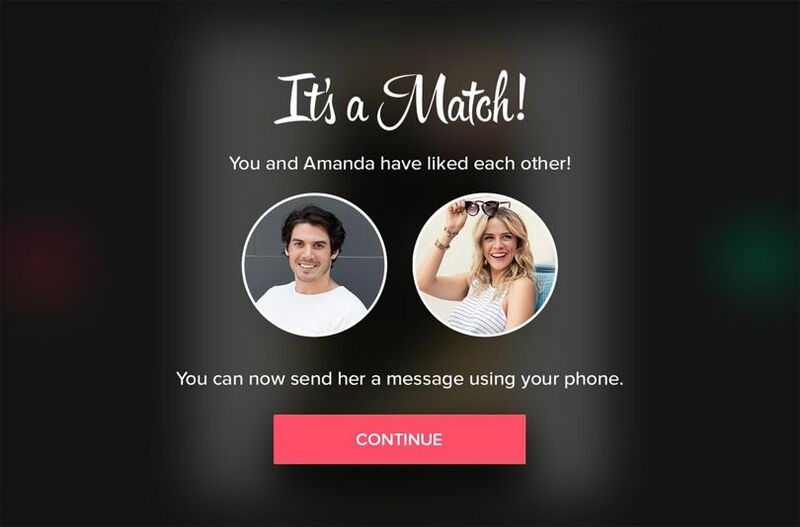 However, users can’t send messages to their Tinder matches from the TVs. They need to make use of their mobiles for interacting with their matches for a wholesome Tinder experience. With the amalgamation of Tinder with Apple TV, the company wants to bring the swiping experience from the comforts of one’s living screen apart from a bigger screen. Tinder revealed that the aforementioned new introduction is a part and parcel of the Christmas fun where family members come together for dinner and can even judge people’s profiles from their TV screens. In other news, Tinder had done some amazing things in recent past, from making the millennials talk about the Brexit vote to the US Elections. The company even expanded the gender choices for making the dating application experience more comprehensive.